So, what's included in this collection, you asked. 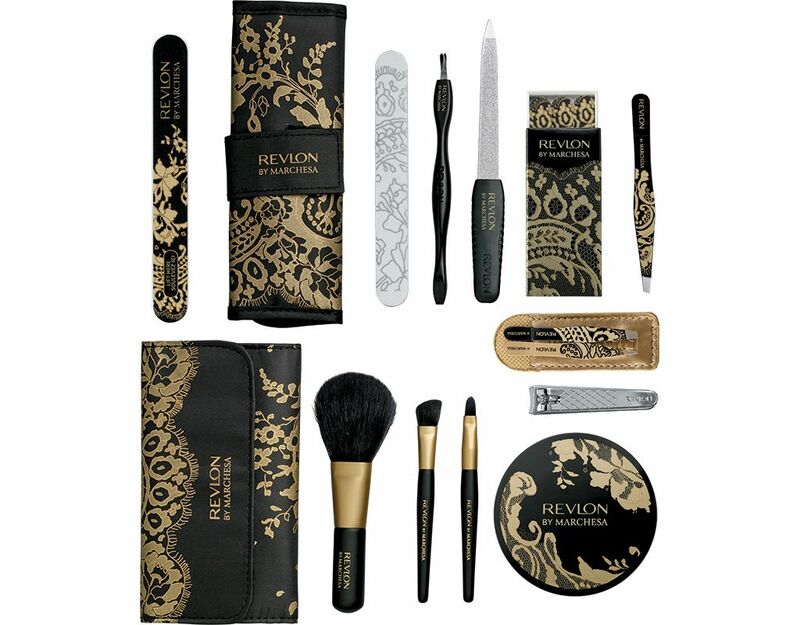 It is a collection of 7 sets of beauty tools available in 3 couture designs! 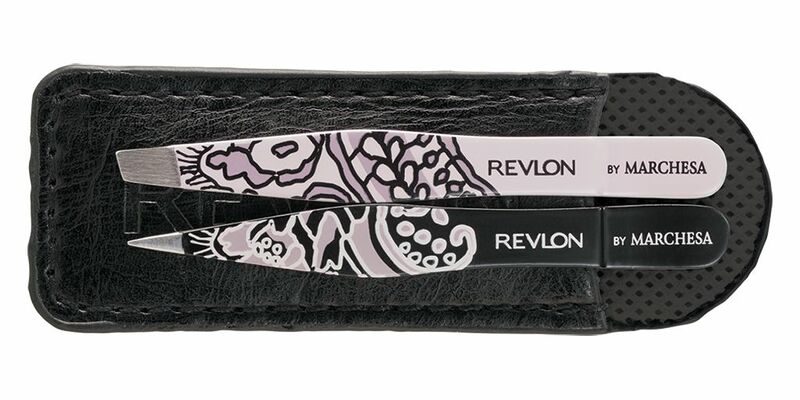 File n’ Peel 6-in-1 File (CA $4.49) is a 2-sided nail files with 3 peel-off layers on each side. 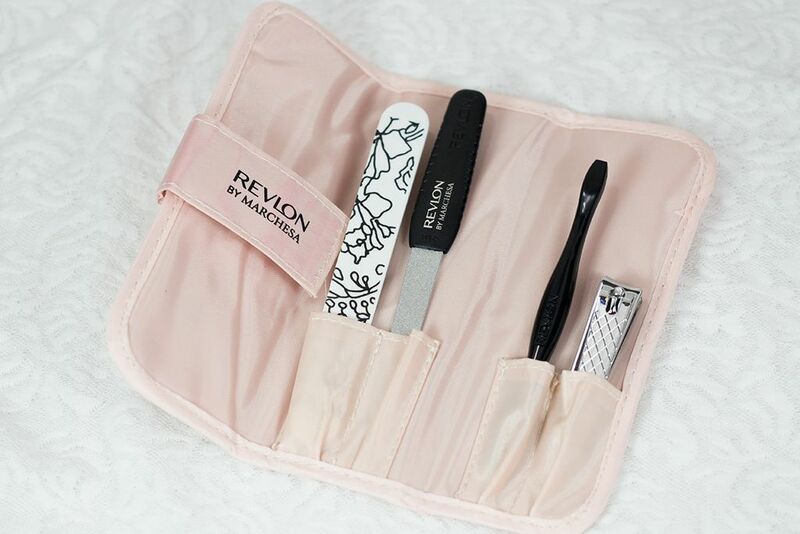 Box O’ Files (CA $4.49) comes in a 'matchbox' style packaging with 6 mini nail files for on-the-go nail pick me up. 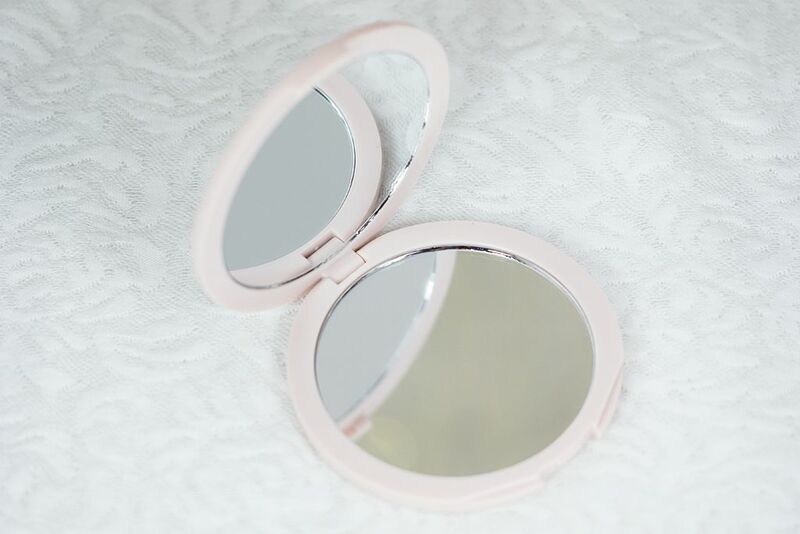 Compact Mirror (CA $6.49) has a beautiful design on the cover with a regular mirror and a 3x magnifying mirror inside. 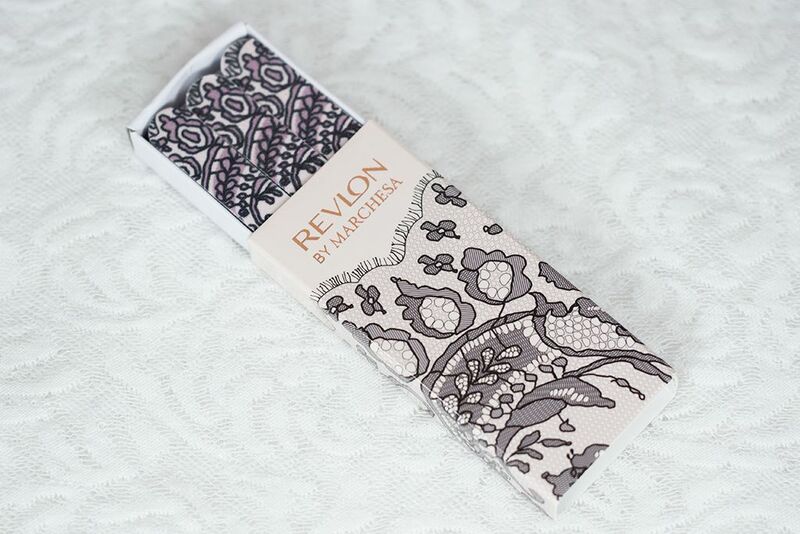 It's the perfect for your makeup bag and will definitely be a conversation piece. 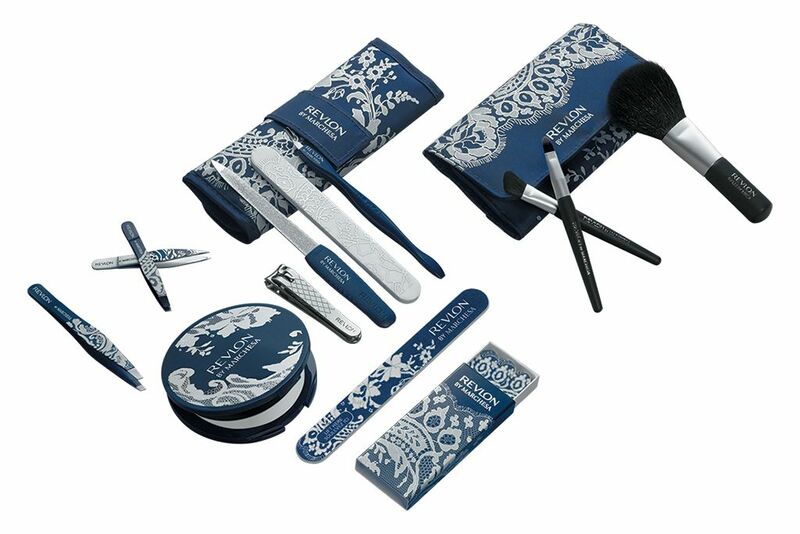 Manicure Essentials Kit (CA $12.99) contains all the essential items you'll need to get manicured nails. 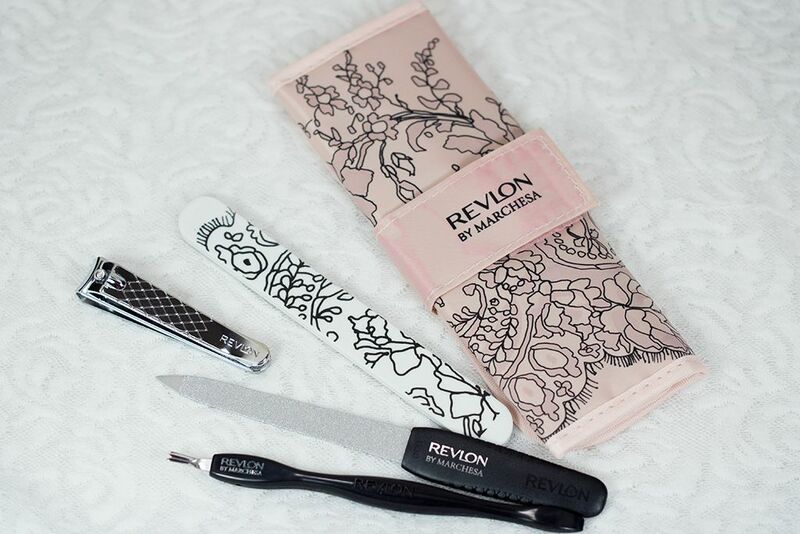 Inside the designer pouch, there are a nail clipper, a cuticle trimmer, a buffer and a compact emery filer. 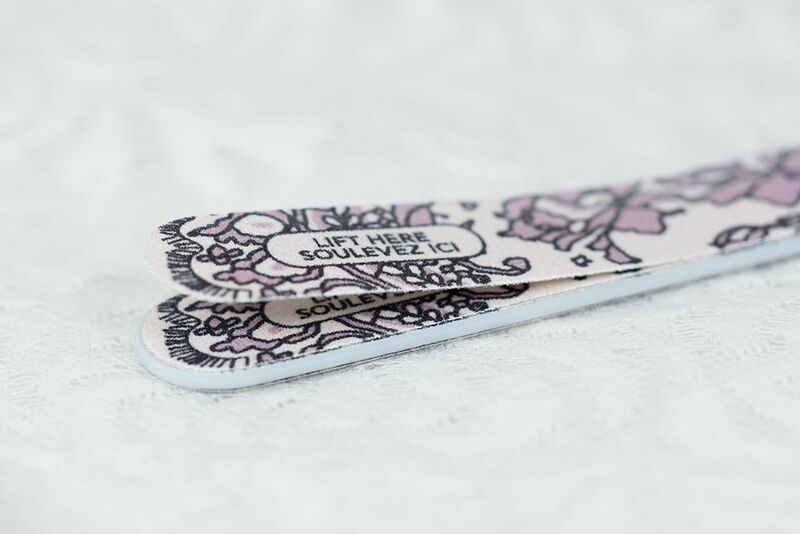 Designer Slant Tweezer (CA $9.99) is made with high quality stainless steel with a slanted end for easy tweezing. Mini Tweezer Set to Go (CA 10.99) comes with a slanted and a pointed tweezer duo for all your travel tweezing needs. They also come in a silver travel pouch so they don't get lost in transit. 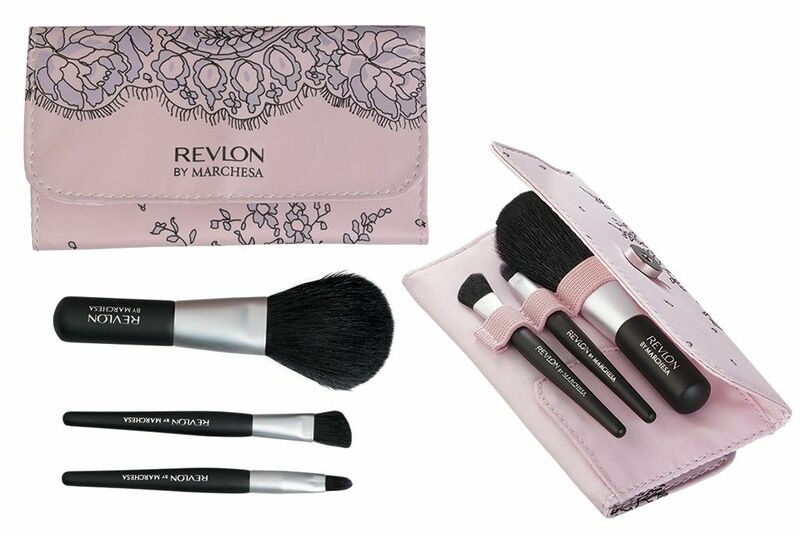 Starter Brush Kit (CA $15.99) also comes in a designer pouch with a powder brush, a shadow brush a concealer/lip brush. 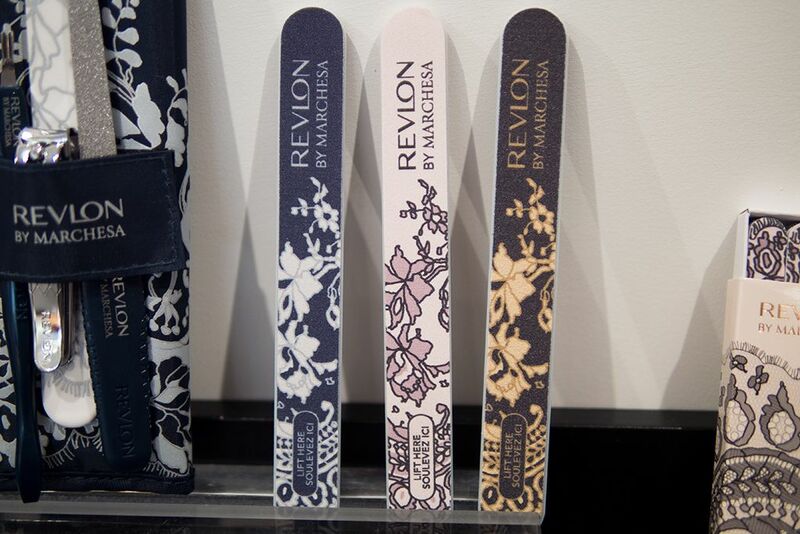 These brushes are "expertly crafted using ultra soft, premium fibres and natural birch wood handles". 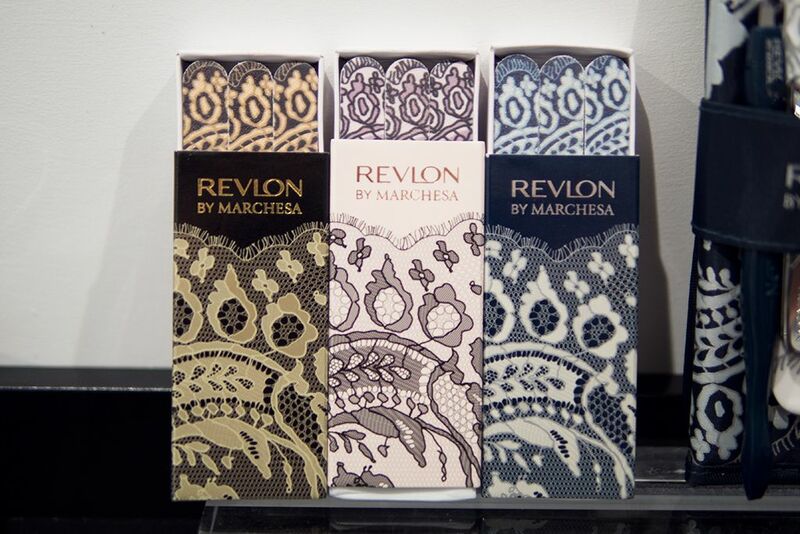 Inspired by the two dresses below, Revlon by Marchesa Beauty Tool Collection consists of 7 kinds of tools you'll need for your makeup and nails and are available in 3 different colours (pink & black, blue & silver, and black & gold)! I am in need of a new tweezer, so the Slant Tweezer and Mini Tweezer Set are on my list. 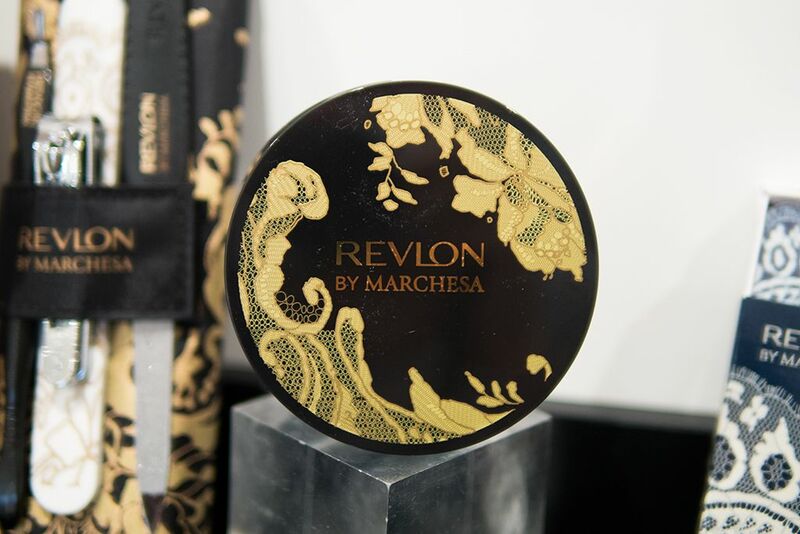 My top pick from this collection is definitely the Compact Mirror. 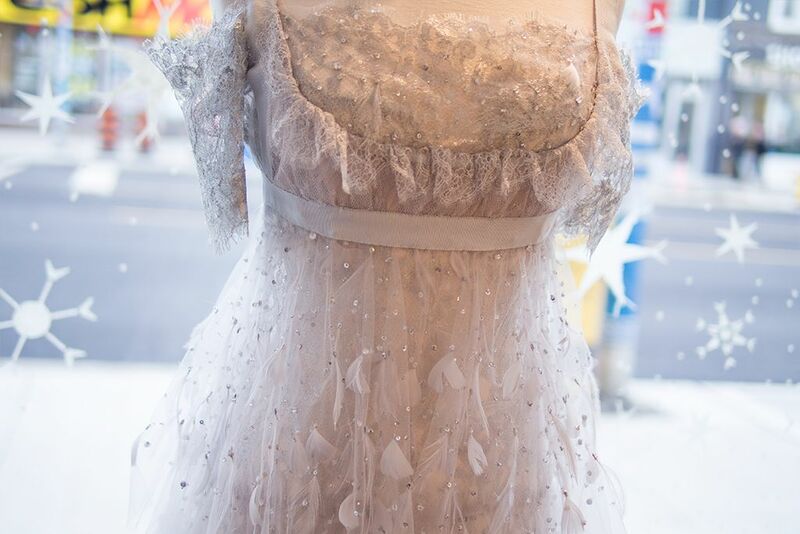 It's such a beautiful piece with a very affordable price tag. I would also recommend the Manicure Essentials Kit if you do not already have a good set (I didn't, but now I do :P). 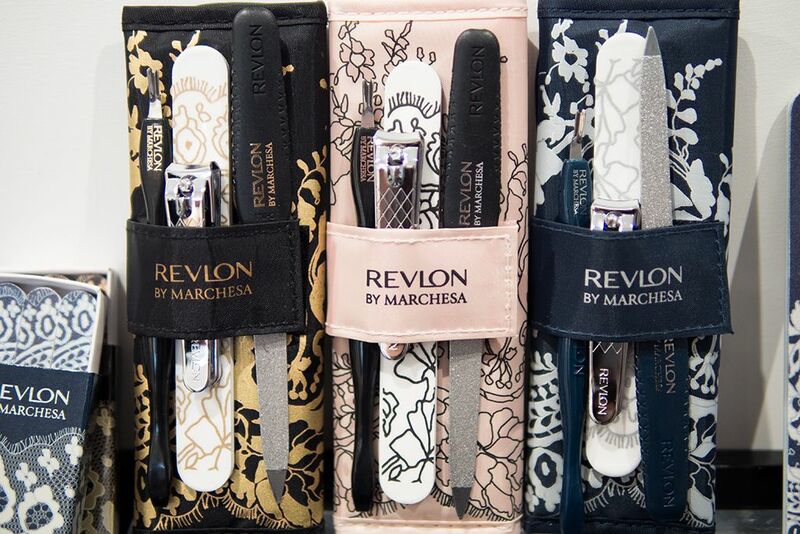 These are great essentials item and why not beautify your everyday tools too. And which colour would I pick? Pink of course! Are you going to pick anything up from the collection? Wow, I'm absolutely impressed by the collection! wow looks like lingerie! i want it! Sweet! All those gorgeous packaging of different beauty brands will be the death of my wallet! Ok yes i definitely need the compact now haha. 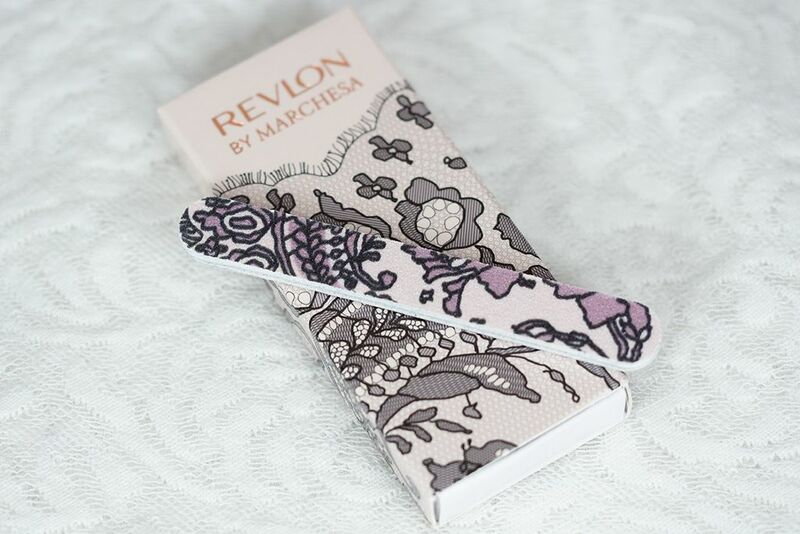 The only one i have is from sephora and it's a bit bulky. Ohh, I really like the black lacey look! How pretty! I am needing some new, good tweezers. I'll keep these on my radar! :-) Thanks for the thorough review and awesome, detailed pictures!! Haha you're welcome. 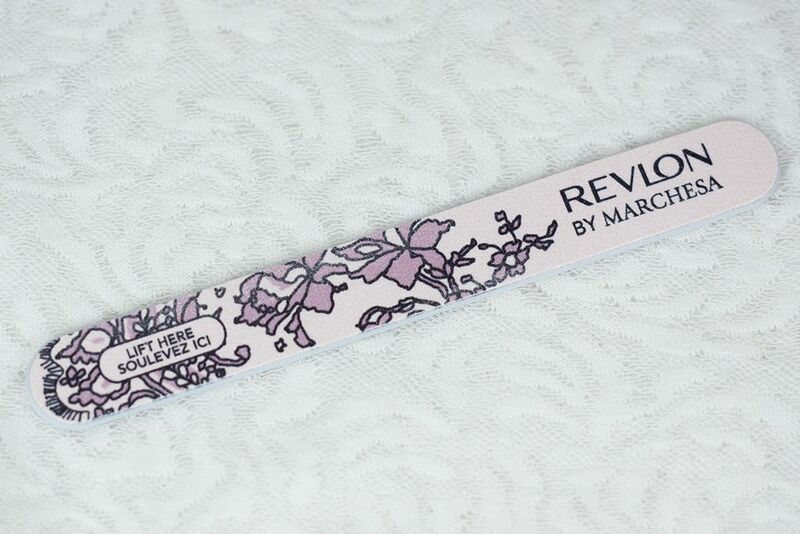 I can't wait to get those tweezers! 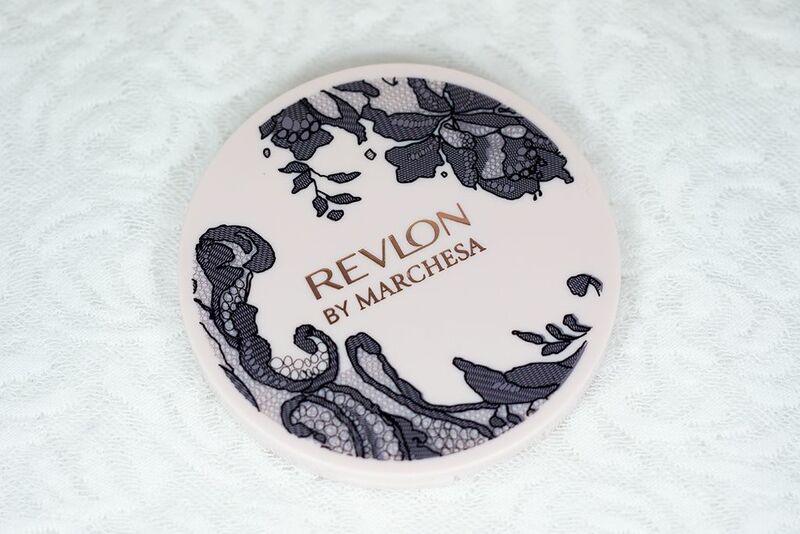 It'll look good on my vanity and make my brows look good!